I don’t need to quote facts and figures to convince myself that veganism is right: especially when there are many brilliant publications, like Vegan Outreach’s ‘Why Vegan?’ booklet, or Animals Australia’s ‘Why Veg?’ site. 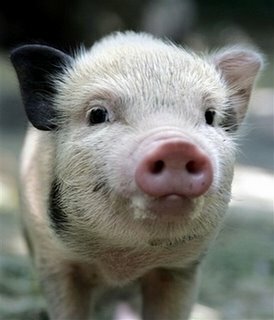 Oh, and by the way: I love pigs! *What I really mean to say is that I don’t believe that non-human sentient beings are here for humans to use. Tags: abuse, environment, health, pigs, Why Veg?, Why Vegan?